Growth spurts, rapid cognitive development, and frequent multitasking can strain even the best and brightest. Teenagers may think they know it all, but their brains keep developing into their mid-twenties. Omega-3 fatty acids can play key roles in healthy brain function and normal growth. EPA and DHA also help support a healthy mood and normal social development. 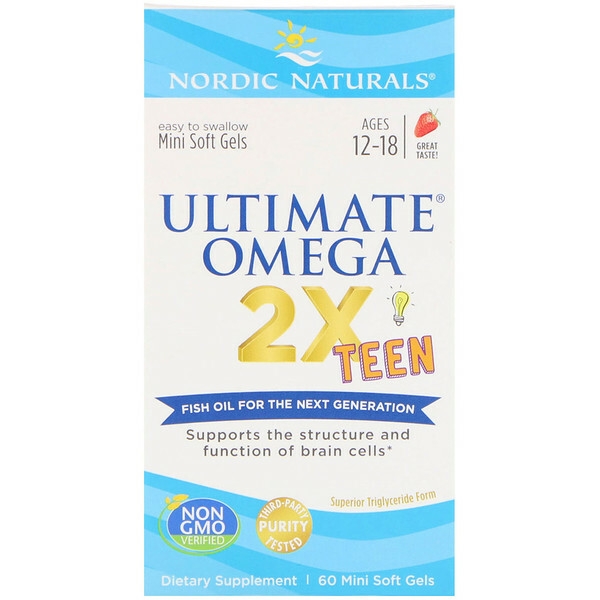 Ultimate Omega 2X Teen features our highest-concentration omega-3 fish oil in small, easy-to-swallow, strawberry-flavored soft gels. Like all our fish oil products, it's backed by science and made from start to finish by Nordic Naturals to guarantee a safe, sustainable, and exceptionally fresh and pure product. Exceptionally Fresh. No fishy aftertaste. 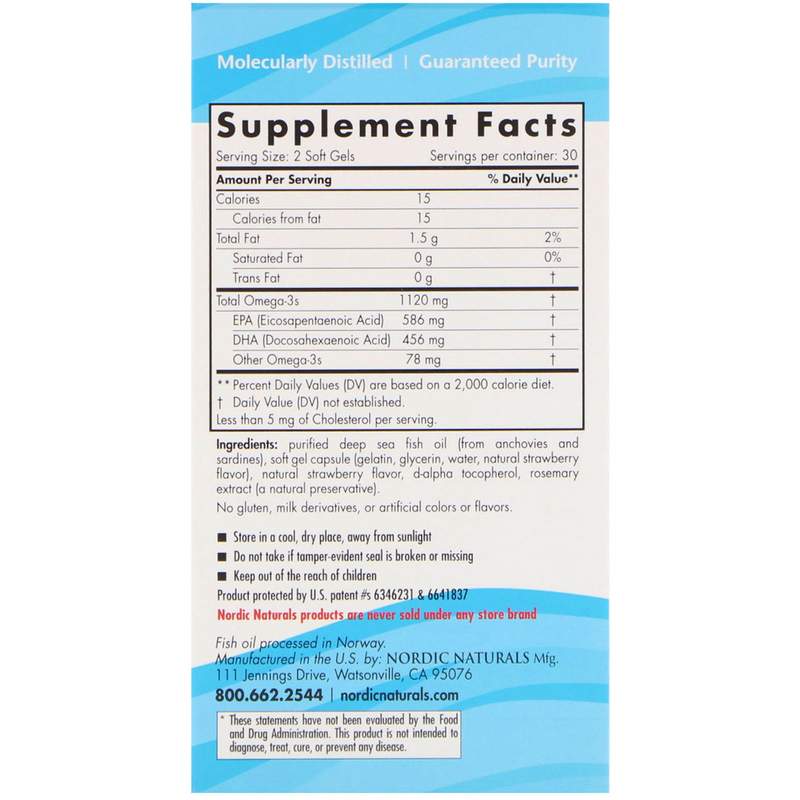 Supports normal cognitive function and social development. Small soft gels that can be easily swallowed. 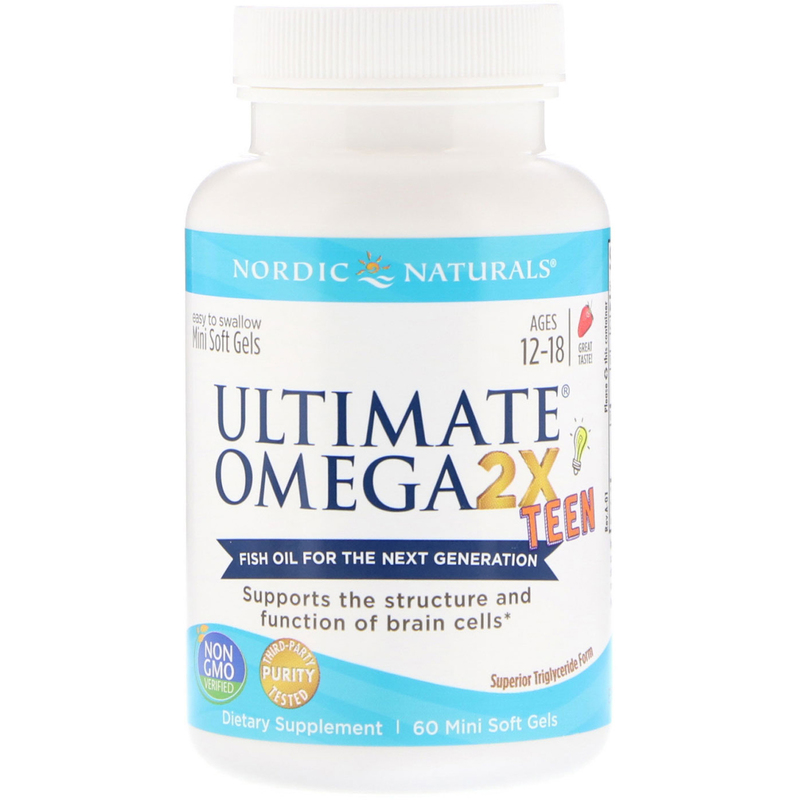 All Nordic Naturals fish oil are in triglyceride form or superior absorption. For ages 12-18 years, two soft gels daily, with food, or as directed by your health care professional or pharmacist.